We made you a mixtape! 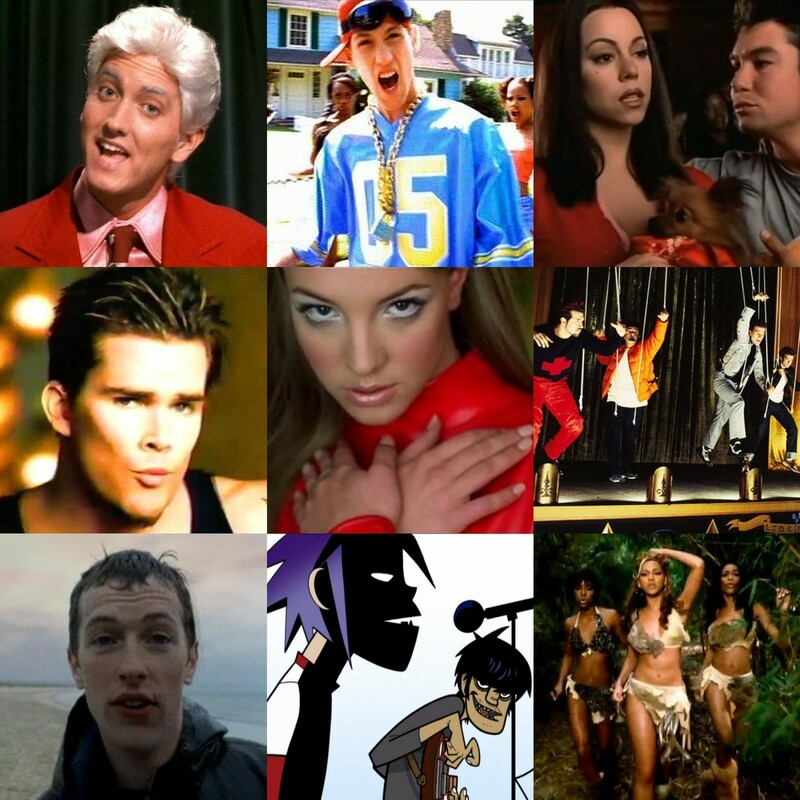 In this third installment of music videos, our selections chart a course through those awkward and momentous junior high years, from evolving identities to artistic revelations to awakenings of an...um...aesthetic nature. The delightful Matt Palmer returns--along with his encyclopedic knowledge of late 20th century pop--to talk about more of the music that made us, as we refuse to say bye bye (bye) to our middle school tastes. Like Renaissance sculptures made flesh, the film debut of the Teenage Mutant Ninja Turtles transforms the testudinal heroes from cartoon characters into three-dimensional wisecracking, pizza-gobbling machines. Along the way, they somehow rediscovered their grittier comic book aesthetic, as they emerge in a seedy urban landscape rife with brainwashed children, unhinged vigilantes, and a ninja cult that's very comfortable with torture. 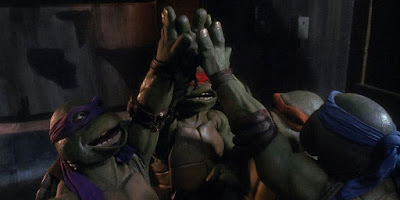 Guest star Nate Tapp joins us as we serve up some wide-ranging banter about family and fatherhood, rank our favorite turtles, and, of course, reminisce some more about the most awesome TMNT toys. So grab a New York slice and get ready for some serious turtle talk, 'cause this is what we do!